Duration: 3.5 days trekking, 5 nights accomodation, 2 nights auberge, 1 night 3* hotel, 1 night high mountain refuge and 1 night wild camp. Price: from £695 per person but reduced group rate for 6+ people. Most of our reservations are for groups or large tour operators. 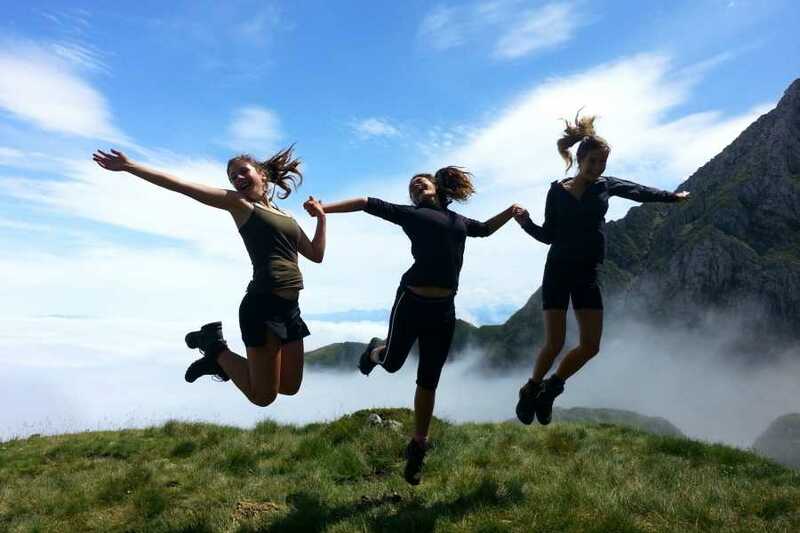 Every year, the "Chemin de la Liberté " trail inspires trekkers in the Pyrenees to make their own journey to commemorate the 782 Allied airmen and Jewish refugees who risked their lives on a 60km route escaping Nazi-occupied Europe during World War II through Ariege. In total there were over 33,000 successful escapes by Frenchmen alone. Of these 3,000 never returned home . 6,000 allied service men (mainly aircrew) also escaped. Having reached the mountains the men were hidden in secret collecting areas and formed into groups ready for the final night ascent to the Spanish Frontier. Many trails sprang up in Ariege, only known to the particular guide or Passeur. At the beginning of 1943 due to increased German surveillance or betrayal by La Milice, ambushes along many trails became common. If you have a group who would like your own tailored package staying in auberge, hotel or even camping at the beginning and end we stay flexible to meet your needs! In guiding and providing logistics for this route we have helped over 200 people raise money for charity in achieving this challenge. Duration: 3.5 days trekking, 5 nights accomodation 1 night 3* hotel, 1 night Auberge, 1 night wild camp, 1 night high mountain refuge, 1 night Auberge or 2* Hotel. Price: £695 We offer many of these trips for groups so if you are 6+ people please get intouch for our group rate. The largest group we have taken is 30 people. We have taken charity fundraising groups, families and groups of work colleagues on this amazing challenge. Dates & Availability: Trips available Mid June - October. If you would just like to fisit the Halifax bomber memorial site we offer this from June. Please note these are booking up quickly for 2019. Meeting point: The meeting point is Toulouse Blagnac airport unless you are already in France. If this is the case we will meet you in St Girons or Seix. Departures: This is usually from Toulouse Blagnac airport or we can drop you off at your car in St Girons should you wish. Group Bookings & minimum numbers: Guide ratio is maximum 1:10. We stay as flexible as possible and also offer this trip to large tour operator groups of up to 30 people. A minimum trip number is 4 people for the trip to run. If you bring a group of 4 we can offer a discount and offer trips on your requested dates when we are available. This is our most popular trek and we already have 3 treks scheduled in September 2018 with another two pending so please do contact us soon if you are interested. Fitness Level Needed: A challenging trip for those who can walk easily for 5-8 hours per day in the mountains. On the hardest day you should be able to ascend +1500m in a day. There some bouldery steps along the way and a section of cable way along the path for a short distance to reach Spain. We can advise you on how to progress your fitness and train for this trip. This trek is challenging. Equipment: A full equipment list will be provided on booking. You will need: waterproofs; walking boots; a sleeping bag (carried for only half a day); trekking poles; and rucksack. Where possible we make sure you are only carrying a day sack and offer a supported camp en route. Reductions: If you are a small group and wish to carry tents for example and do it in the lowest cost way we can still help providing minimal logistics for a reduced price - just ask! We offer four day to six day itineraries along this fascinating World War II escape route best known through "Freedom Trail" by Scott Goodall. "Imagine yourself during the war having to ask someone for help, even though you know they are risking their lives if they give it to you. If you are lucky and not turned in, there is still the long trail to negotiate, past German checkpoints and patrols with and the final climb over the Pyrenees into Spain. Most went at night just carrying what they had on them and picked up food from the land en route. Think of the Jewish families who attempted the route just one step ahead of arrest and deportation to the death camps. What's included: Accommodation and food as specified in the programme; transport to and from Toulouse Blagnac on a single timed transfer per group; local transport as per the itinerary; and guiding by a qualified International Mountain leader 1:10 maximum ratio, wild camp support, transfer of bags from location to location on the first 2 nights. Why us? We have done this trip with well over 150 people and are super familiar with ways to help you get the most from your trip as well as knowing the history well and having a great team to deliver it. We are flexible (within the constraints of the route) and are experienced with dealing with charity groups, families and tour operators. Join us for a wild experience! NB We can also start this trek from Esbintz refuge, meeting you in the morning of day 3 if you have limited time or a smaller budget and would like to start from there. You only really miss out on the Louis Barreau memorial. If you would like a more luxurious finish this is also possible with 4* hotels with pool in Vielha. We are happy to tailor a package to suit your group.